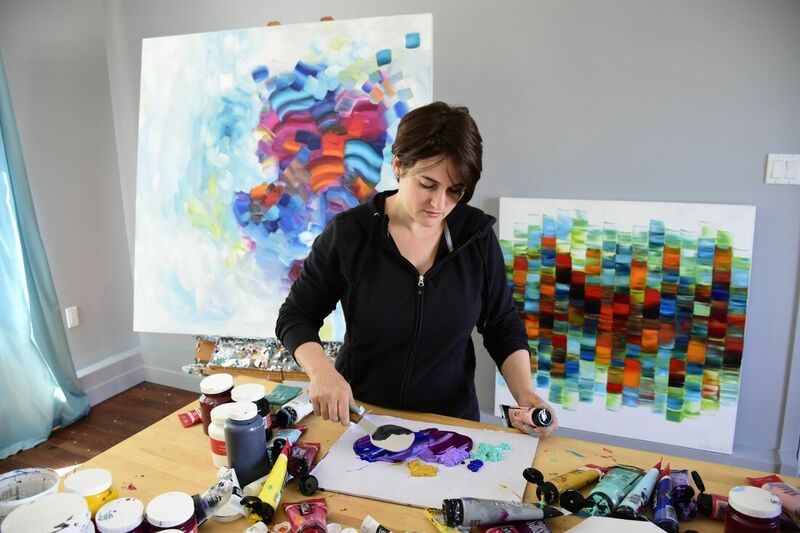 "Over the past few years, my work has leaned more and more towards abstract art. Randomness is a great part of my approach. I work with my feelings, exploring what’s hidden beneath and letting it surface. My paintings carry vivid colours and a light that gives them a peaceful atmosphere."